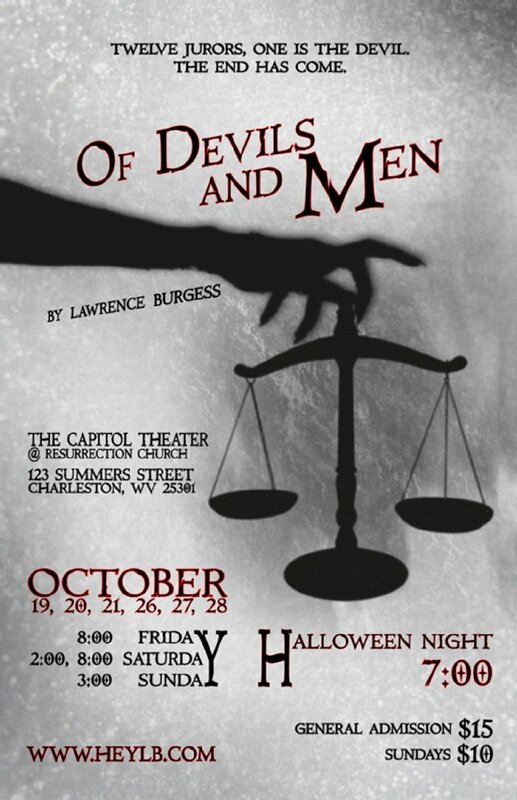 This devilish play by Burgess promises to be a perfect fit with the Halloween season. Performances are October 26, 27 at 8 PM. October 27 at 2 PM , October 28 at 3 PM, and a special Halloween night performance October 31 at 7 PM, at the Capitol Theater, 123 Summers Street in Charleston. General admission for evening shows is fifteen dollars. The Sunday matinees are only ten dollars. Produced by the West Virginia Actors Conservatory You only have five more chances to see this new original work.